We’d love your help. Let us know what’s wrong with this preview of Henry's Freedom Box by Ellen Levine. Henry Brown doesn't know how old he is. Nobody keeps records of slaves' birthdays. All the time he dreams about freedom, but that dream seems farther away than ever when he is torn from his family and put to work in a A stirring, dramatic story of a slave who mails himself to freedom by a Jane Addams Peace Award-winning author and a Coretta Scott King Award-winning artist. To ask other readers questions about Henry's Freedom Box, please sign up. This book is soooooooooooooo bad what do you think about it ? Ellen Levine's Henry's Freedom Box is a book that tugs at all of one's emotions. It makes one angry, sad, despairing, happy. And above all, it should make any reasonable, any compassionate human being indignant at the inhumanity of slavery and strive for liberty, justice and equality for all. In fact, I think that Henry's Freedom Box should be required reading in every elementary school classroom, not only in the United States of America, but globally. That Henry Brown has basically no rights, t Ellen Levine's Henry's Freedom Box is a book that tugs at all of one's emotions. It makes one angry, sad, despairing, happy. And above all, it should make any reasonable, any compassionate human being indignant at the inhumanity of slavery and strive for liberty, justice and equality for all. In fact, I think that Henry's Freedom Box should be required reading in every elementary school classroom, not only in the United States of America, but globally. That Henry Brown has basically no rights, that slaves are considered merely property and can be sold as though they were furniture, horses, cows etc. is both mind-boggling and an assault on all that is decent. And that Henry would be willing to actually mail himself in a wooden crate to an area of the United States where there is no slavery, in spite of the extreme danger of this undertaking to both life and limb, shows how desperate Henry is, how inhumane, how cruel slavery and the concept of slavery was and is. And while I do appreciate the fact that Henry is helped in his endeavour by not only his friend James, but also by Dr. Smith, a white man who is against slavery, I do indeed at times wonder why Dr. Smith does not offer to travel to Philadelphia with the box, as this would have made Henry's trip both safer and also much more comfortable. As to the accompanying illustrations by Kadir Nelson, they literally do take one's breath away with their detail and expressiveness. Indeed they are a wonderful complement to the story, to Ellen Levine's words, and as such, they majorly underline the cruelty of slavery, the despair that slavery and the inhumane actions, behaviours of many (perhaps even most) of the slave owners have on those affected; one only has to look at Henry's eyes, his depicted sadness and utter despair when he loses his family (and not only once, but actually twice). I also appreciate that both the illustrations and textual words manage to successfully convey the cruelty of slavery without the use of either overtly violent pictures or narrative. And the appreciated fact that the violence and physical cruelty of slavery are never all that overtly shown (although always implied, always lurking in the backgorund) makes Henry's Freedom Box suitable for both younger and older children. I have to admit that I do have a bit of a problem with Henry Brown being called a "runaway" slave. I know this is likely very much a personal dislike of the word, but whenever I hear or read the word "runaway" in conjunction with slave, it leaves a bit of a stigma and an air of negativity (as though Henry and other escaping slaves historically actually did something wrong, which in my mind is simply not the case, as they were escaping from situations, scenarios that were both morally and ethically criminal and inhumane). My friend Abigail calls Henry "Box" Brown an Abolitionist celebrity in her excellent review, and that is a much more fitting description in my opinion; one can even call Henry "Box" Brown an Abolitionist hero, because "runaway" semantically does (at least to and for me) leave the unacceptable tinge of Henry Brown actually having done something morally wrong in some manner. This was a phenomenal book that taught about Henry Brown. During slavery he was married and had children, but when their master struggled with money they were sold to a different owner. He escaped slavery by being shipped in a box to Philadelphia. This book is easy for children to follow a long and has great photos that represent everything that is being said. This is another book that I was reading for the Children’s Book Club for Black History Month and I will admit that I just loved this book to death! 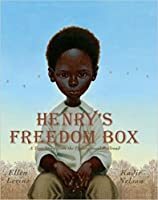 “Henry’s Freedom Box” is a Caldecott Honor Book by Ellen Levine along with illustrations by Kadir Nelson and it is about a runaway slave named Henry “Box” Brown who thinks of a clever plan to get out of slavery after his family is sold. “Henry’s Freedom Box” is a truly inspiring and dramatic book for children who want to learn more about the horrors of slavery. I am so glad that I had the opportunity to read this book because I wanted to learn more about black history, being that this is black history month and I wanted to learn more about the horrors of slavery for blacks. Ellen Levine had done an excellent job at writing this true story about Henry “Box” Brown’s clever escape from slavery. I loved how Ellen Levine made this story extremely dramatic and breathtaking at the same time as I was really moved by Henry’s loss of his family and how he wanted to escape from the cruel life of slavery and I was so amazed at how Henry escaped slavery by mailing himself in a box to freedom because that idea sounded so ingenious and risky that I was practically worrying about Henry’s safety in arriving to a land of freedom. I also loved how Ellen Levine provided a note at the end of the book about how Henry Brown was one of the most famous runaway slaves and how there were over four million slaves living in the United States and that information alone was enough to let me ask myself about how could we have so many innocent people as slaves? It really gave me so much knowledge about Henry Brown that I never knew before and how his plan made him such a famous runaway slave, which I think that his recognition in black history is greatly well deserved because his plan was so brilliant. Kadir Nelson’s illustrations are extremely beautiful in this book as they realistically portrayed the pain and sorrow that Henry has to endure during his days of slavery. The image I really loved was a close up shot of Henry’s sad face after his wife Nancy told him that their children might be sold and you can see the sadness on Henry’s face and what truly made this image so breathtaking was how the light from the window reflected off of Henry’s face, which seems to make this image look like a foreshadowing about what is in store for Henry. All in all, “Henry’s Freedom Box” is a truly touching book that children who want to learn more about slavery and the heroic figures during slavery will easily enjoy this book! I would recommend this book to children ages five and up due to some sad scenes. I read this as one of six books chosen by the Children's Books group’s Picture Books Club for its February theme of Black History Month. The subtitle of this book is: A True Story from the Underground Railroad. It’s the true story of Henry “Box” Brown, a man who mailed himself to freedom, to a state where there was no slavery. Before I read this, I thought that it was a historical fiction story; I didn’t realize that this was a true story until I read it. This book is a seamless mix of highly dis I read this as one of six books chosen by the Children's Books group’s Picture Books Club for its February theme of Black History Month. The subtitle of this book is: A True Story from the Underground Railroad. It’s the true story of Henry “Box” Brown, a man who mailed himself to freedom, to a state where there was no slavery. Before I read this, I thought that it was a historical fiction story; I didn’t realize that this was a true story until I read it. This book is a seamless mix of highly disturbing & very uplifting! This book did a magnificent job of describing horrific events in a way suitable for children, even though there are going to be many highly perturbed readers/listeners. But, that is appropriate. How Henry tolerated his burn and the shipping box, and the loss of loved ones (I’m still broken hearted over that!) makes for an amazing story. I’d never heard of this man before I’d read this book, and now I want to read more about him. This story covers Henry’s life from the time he was a young boy until he makes his escape as a man who’s been a husband and father. Both within the story and in the author’s note, much information gets conveyed about the inhumanity of slavery. It does not shy away from the horrors slavery entailed, not the least of which was not belonging to yourself, not being free. Henry’s brilliant and brave choice is very inspiring and it and the resolution kept the book from being overly disturbing. I was happy to see that one of the people who helped Henry escape, and helped make arrangements for his destination, was a white doctor who did not believe in slavery. I do recommend this for reading aloud, one to one or in a group. Kids, especially sensitive kids, are likely to have a lot of questions and want to discuss Henry’s life, slavery, etc. The illustrations are wonderful. I can understand why this book is a Caldecott Honor book. 4 ½ stars; ½ star off because I wanted more details, even in this children’s picture book. Henry's Freedom Box is a wonderful storybook for teaching younger children about slavery and the Underground Railroad. It is the true story of Henry “Box” Brown who mailed himself to freedom. Henry's bravery and ingenuity were inspiring to read about. It is very sad that Henry lost his entire family when they were sold and apparently was never reunited with them, but it seems that his pain may have been a driving force in his quest for freedom. He also became an internationally renowned spokesperson for the Underground Railroad and abolition, and even wrote an autobiographical account of his life as a slave and his escape which I hope to read at some point. This is an inspirational, amazing and true story, with breathtakingly detailed and expressive illustrations. It is certainly worthy of its Caldecott Honor designation. It's a story that will take you from joy to heartache and back again in a short narrative that will captivate young elementary school-age children. We read this as one of the February 2011 selections for the Picture-Book Club in the Children's Books group here at Goodreads. I am so grateful to have been introduced to this story, a This is an inspirational, amazing and true story, with breathtakingly detailed and expressive illustrations. It is certainly worthy of its Caldecott Honor designation. It's a story that will take you from joy to heartache and back again in a short narrative that will captivate young elementary school-age children. We read this as one of the February 2011 selections for the Picture-Book Club in the Children's Books group here at Goodreads. I am so grateful to have been introduced to this story, and that I was able to share it with our girls. First off thank you again to the group for introducing wonderful books I may have otherwise never found! I held this book in my hands for several minutes after I read it. This isn’t a normal practice for me. I fought back tears and feelings of heartbreak at the same time thinking this was a fabulous book. I felt I was living every moment with Henry on his journey to freedom by mailing himself in a box. Henry was amazing and brave to even have thought of that. It was refreshing to read about the people who helped Henry on his journey, one of them being a white doctor who thought slavery was wrong. I had never heard of Henry “Box” Brown before reading this book and actually thought it was a fiction until I read the inside jacket flap. I always appreciate when books add additional information. This book provided additional information on Henry and the Underground Railroad. This is a book that makes you think, think about what this man had to go through for freedom and how lucky you are to have been born free. This is a true story from the Underground Railroad about an African American slave gaining his freedom and the hardships he faces achieving this victory. Henry is a young boy who does not have a birthday. This is no surprise because there were no records of slave’s birthdays. He is torn from his family at a young age and put to work in a warehouse. He soon meets a girl named Nancy and marries her. They have three children and are happy. 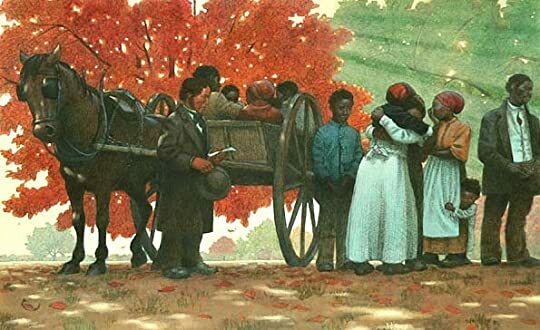 Henry’s happiness is torn away when his family gets sold in This is a true story from the Underground Railroad about an African American slave gaining his freedom and the hardships he faces achieving this victory. Henry is a young boy who does not have a birthday. This is no surprise because there were no records of slave’s birthdays. He is torn from his family at a young age and put to work in a warehouse. He soon meets a girl named Nancy and marries her. They have three children and are happy. Henry’s happiness is torn away when his family gets sold in the slave market while Henry was at worked. He continues to work and accepts that he will never see his family again, but does not accept his current lifestyle. He decides that he must try to escape to a place where there are no slaves. With the help of a White man named Dr. Smith, Henry mailed himself in a wooden crate to Philadelphia, Pennsylvania. After a long journey, Henry arrives safely and finally has a birthday which is also the day he gained his freedom. I would use this book in my classroom as a starting point for a social studies unit on slavery. We would first discuss what we think we know about slavery before reading this book. As we read the book, there will be numerous stopping points and pauses for children to think about what they just heard and respond to it in turn and talks and in their writing journals. I would have the students compare their ideas prior to reading the book to the new information they learned about slavery after reading “Henry’s Freedom Box.” I think that this is a great way to introduce slavery to students especially because this text is based on true events. I am in awe after reading this book. I caught myself constantly empathizing with Henry and feeling all sorts of emotions. I felt devastated, upset, hopeful, and joyous while reading this book. I think that it would be a wonderful story when teaching empathy because the reader gets so drawn into each page, constantly feeling what Henry is feeling. The first page draws you in right away saying, “Henry Brown wasn’t sure how old he was. Henry was a slave. And slaves weren’t allowed to know their birthdays.” Wow. Right away I was captivated and dying to read the rest. The author’s words are undeniably impactful and captivating. The illustrations coincide beautifully with the sentences and shine into the soul of each character. “Do you see those leaves blowing in the wind? They are torn from the trees like slave children are torn from their families.” This quote along with this illustration tugged at my heart. As she tenderly holds her son watching the leaves leaving the trees foreshadowing their upcoming separation. “Blood rushed to his head. His face got hot. His eyes ached. He thought his head would burst. But he was afraid to move.” I cannot imagine how painful this journey was for Henry. This picture shows his discomfort, pain, and struggle as he journeys far away to gain his freedom. 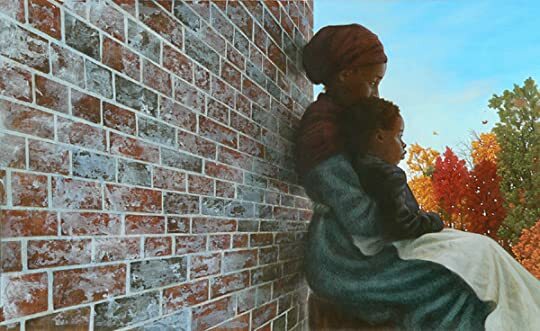 Henry's Freedom Box: A True Story of the Underground Railroad is appropriate for students in grades 2-5. It received a Caldecott Honor Award in 2008. It might seem odd, but Kadir Nelson's illustrations for this book reminded me of Brian Selznick's work in The Invention of Hugo Cabret. More than anything, the quality that seems to connect these illustrators in my mind is the crosshatching that adds texture, depth and shadow to the images in both close ups and "wide shots" of the action. To me, Nel Henry's Freedom Box: A True Story of the Underground Railroad is appropriate for students in grades 2-5. It received a Caldecott Honor Award in 2008. It might seem odd, but Kadir Nelson's illustrations for this book reminded me of Brian Selznick's work in The Invention of Hugo Cabret. More than anything, the quality that seems to connect these illustrators in my mind is the crosshatching that adds texture, depth and shadow to the images in both close ups and "wide shots" of the action. To me, Nelson's work is what Selznick's might look like if oil and watercolor were added. Although Nelson's art was inspired by a lithograph of Henry "Box" Brown and Selznick was inspired by early film, the two artists are stylistically inseparable for me. The very first page of this text is captivating as one side of the spread is a wash of sepia tone with a small, tan textbox inset which reads, "Henry Brown wasn't sure how old he was. Henry was a slave. And slaves weren't allowed to know their birthdays." The directness of the words paired with the image of Henry on the following page is both captivating and haunting. Henry Brown seems to stare out at you, beckon you, with sad eyes, to read his story. The true events of his life, like his eyes, are somber. As a boy, Henry thinks he will be set free when his master dies, but instead is given to his owner's son and separated from his family. One day in town he meets Nancy, and months later, he asks her to be his wife. They have three children. Henry never imagined he could be so happy, but Nancy worries that the children will be sold. Then Nancy's fears become reality--Henry watches as his wife and children disappear from his life, forever. Next, out of great melancholy comes great desire. Henry devises a plan to escape the bonds of slavery. He decides to mail himself to freedom, to Philadelphia, Pennsylvania. This fateful journey earns him the name Henry "Box" Brown. He declares that his first day of freedom, March, 30, 1849 is his birthday. For me, this book is a satisfying whole. The breathtaking illustrations take readers along on Henry's heroic journey to freedom and the text, while sparse and to the point includes critical and meaningful details. It could be utilized in a unit on the underground railroad. The reason this text received a Caldecott Honor is clear. The combination of drawing, oil and watercolor displays “excellence of execution in the artistic technique employed.” Nelson picks up on the most critical elements of the text and at times his close-up illustrations force the reader to focus on details they might otherwise overlook. His “pictorial interpretation of the story” makes the reader sympathize with Henry “Box” Brown, and rejoice at his freedom. The style of the illustrations—realism—is appropriate to the story because the text is historical fiction. In much of Nelson’s work, the story is told through the illustrations and Henry’s Freedom Box is no exception. The illustrations, particularly the sequence where Henry enters the box and ships himself to freedom will help younger readers understand and appreciate this book. I also feel that because the story begins with Henry as a child and follows him through adulthood, child readers will empathize with his story. Henry Brown wasn't sure how old he was. Henry was a slave. And slaves weren't allowed to know their birthdays. A well told tale to assist younger children in learning of slavery and how one slave managed to escape to freedom. Henry doesn’t know his age-slaves aren’t allowed to know their birthdays. Henry’s master sells him to his son, and Henry works many years in a factory. He married a woman named Nancy and they had children. Then, one heart-wrenching day, Henry’s wife and children are sold and Henry knows me may never see them again. He decides to mail himself to a place where there are no slaves, in Philadelphia. Some friends help Henry stow away in a shipping crate. On his journey in his box, he was lifted, thro Henry doesn’t know his age-slaves aren’t allowed to know their birthdays. Henry’s master sells him to his son, and Henry works many years in a factory. He married a woman named Nancy and they had children. Then, one heart-wrenching day, Henry’s wife and children are sold and Henry knows me may never see them again. He decides to mail himself to a place where there are no slaves, in Philadelphia. Some friends help Henry stow away in a shipping crate. On his journey in his box, he was lifted, thrown, and turned upside down. Then, he arrived safely in Philadelphia and was reborn a free man. I listened to an audio version of this book through my library’s Hoopla site. During the reading of this book, soulful music played in the background, and this was a nice added touch. Henry’s Freedom Box is a 2008 Caldecott Honor book. This book can help teach students about the realities of families being sold and separated during slavery. People could be sold at any time like they were an object. The author uses a lot of great symbolism, such as comparing leaves ripping off trees to families being ripped apart, or a bird representing freedom. Students could find symbolism as they read this story and the symbolism would help students understand what the characters feel like. A picture book based on a true story. I read this story aloud to my middle school classes during Black History Month. When they discover that it is based on a true story, they're fascinated, horrified, and in awe of this man's courage and yearning to be free. A must read! See Henry Box Brown's profile, Personal Narrative and the biography Unboxing of Henry Brown for more information about Brown's life story. This book caught my eye because of the fabulous illustrations by Kadir Nelson. It tells the story of Henry Brown, who, in 1849, escaped from slavery by having himself mailed to Philadelphia. Henry traveled 350 miles from Richmond, Virginia, in a nail-biting trip that took twenty-seven hours. Henry “Box” Brown became one of the most famous escaped slaves and his story remains incredibly inspirational. True story based on one of the most famous runaway slaves. This story is about Henry "Box" Brown who literally mailed himself to freedom. I liked how the story was historically accurate, sad, but uplifting, too. This account was documented in The Underground Railroad by William Still, published in 1872. The is an amazing book that can be used during a study during Black History month or a social studies piece on the Civil War. The pictures are very engaging and the expression of the characters is fantastic. It is a positive story from the not so pretty side of American History, slavery in particular. It has simple text and is easy for children to read. An interesting story from the Underground Railroad that I hadn't heard before. I really liked how the sensitive issues of slavery were presented without sugar coating them for kids but also without making them super graphic, either. A great intro to slavery and the Abolitionist movement for young elementary kids. 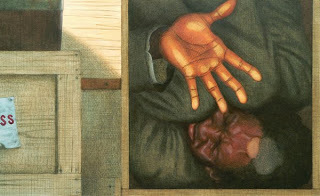 I love Kadir Nelson's illustrations and this is no exception. Ellen Levine's story of Henry "Box" Brown was touching in a bittersweet sort of way. Another book going on my Black History must read list for classrooms. I'm going to predict that this will win a Coretta Scott King Award for illustrations in 2008. I'd read about Henry "Box" Brown in books for older children, so I'm happy to see this picture book on him. I can't imagine being cramped up in that box for days! Absolutely love using this book in my classes as we embark on our historical fiction unit. The illustrations help to tell the story of a brave young man on his journey to start his new life. Great historical fiction book, filled with symbolism and a great message of hope and freedom. 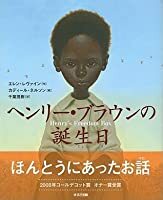 Henry’s Freedom Box: A True Story from the Underground Railroad is about a boy named Henry who was a slave. When his master gets sick, Henry feels a glimmer of hope that he might be set free. Instead he learns that he will be sold to his master’s son. As Henry says goodbye to his family, he notices the free birds soaring high above him. Henry works in his new master’s factory and he is very lonely until he meets Nancy. He falls in love with Nancy and they get married and have kids together. Sadl Henry’s Freedom Box: A True Story from the Underground Railroad is about a boy named Henry who was a slave. When his master gets sick, Henry feels a glimmer of hope that he might be set free. Instead he learns that he will be sold to his master’s son. As Henry says goodbye to his family, he notices the free birds soaring high above him. Henry works in his new master’s factory and he is very lonely until he meets Nancy. He falls in love with Nancy and they get married and have kids together. Sadly, Henry’s wife and kids get sold, and Henry is left all alone. He knows that he will never see his family again. He is sad and no longer sings or hums the way he did when he had his family with him. He decides to risk it all and seek help from conductors in the Underground Railroad. They put him in a box and he mails himself to Philadelphia where he can now live as a free man. “‘Do you see those leaves blowing in the wind? They are torn from the trees like slave children are torn from their families.” Wow I can only imagine being torn away from my mom and dad. Everyone close their eyes and imagine how slaves might feel knowing that they could be separated from the ones they love. I wonder if Henry’s family will be torn apart. “‘Your wife and children were just sold at the market.” “No!” cried Henry. Henry couldn’t move. He couldn’t think. He couldn’t work.” My heart just dropped. Henry’s family made him so happy that he sang. I predict that Henry will be very sad and might have to find a way to make himself happier. “Many weeks passed. One morning, Henry heard singing. A little bird flew out of a tree into the open sky. And Henry thought about being free.” I am thinking about how slaves could become free. I am remembering when we read about Harriet Tubman and the Underground Railroad. I wonder if this is what Henry will do. I hope he does. I think he deserves freedom after all he has been through. 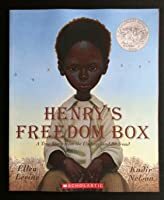 Henry’s Freedom box could be used in any literature unit revolving Black history, slavery, the Underground Railroad, freedom, family separation, and much more. This book is a WOW book because it is a unique story of the Underground Railroad. The main character risks his life to literally mail himself to freedom!! The book will really stir readers up emotionally and get them thinking about the development of human rights over time. A lot of progress has been made since the days of slavery, but there is a lot more to be done. This book is a reminder of America’s dark past, the heartache it caused for slaves, and the hope that was offered by brave souls who were willing to stand up for what was right. 2. Summary: Henry’s Freedom Box, is a touching, true story about the plight of Henry “Box” Brown. Eloquently written, the book brings the reader on a series of heart-wrenching struggles Henry endured throughout his life as a slave in Virginia during the 1800’s and his eventual idea to mail himself to “freedom” as part of the “Underground Railroad”. a. This is a well written story about the unpleasant reality slaves endured in our country and the dream of freedom the main character clung to throughout his life. b. The author uses the idea of one’s “birthday” to signify freedom, much as a baby breaks free from the womb, Henry eventually breaks free of his life as a slave in Richmond, Virginia and is “born” when he arrives after an tumultuous journey in Philadelphia, Pennsylvania and emerges from the box in which he was mailed . Henry finally has a birthday and his freedom! c.	From the opening lines in this story, the reader is hooked. “Henry Brown wasn’t sure how old he was. Henry is a slave. And slaves weren’t allowed to know their birthdays.”(page 1) The author chose the perfect concept to effectively communicate to children the depth to which freedom had been taken from slaves in our country. As the reader follows Henry through his life, from the devastation of being taken from his mother to eventually having his own family taken from him, the reader feels Henry’s heart break and gets a sense of how emerging from the box must have felt. This book is a powerful story and a must have in the elementary classroom. 4. Curriculum Connection: There are several grade levels for which this story could be used to teach students about slavery in America. Although it is listed as a 2nd grade reading level, it has an interest level of 3rd-5th grade and I would hesitate letting a 2nd or 3rd grader independently read this story without an adult close by to help the student process the subject matter . Instead, I would read this book aloud and use it as part of my anticipatory set to hook students into a US History lesson about the devastation slavery had on the African American family. Below find one of the SOL’s this story is suited to introduce. Henry’s Freedom Box written by Ellen Levine and illustrated by Kadir Nelson is a historical fiction book. Levine tells the true story of Henry Brown, a slave who came up with the “ingenious idea” to escape slavery by traveling from Virginia to Pennsylvania in a wooden box. 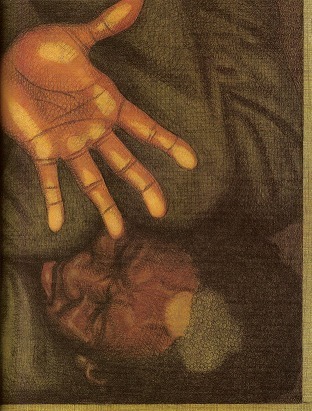 The book shows beautiful depictions of the Civil War era and presents the injustices slaves endure during this period. This book won the Caldecott Honor in 2008, and I recommend it for students in K-5 grades. 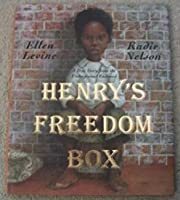 However, I would Henry’s Freedom Box written by Ellen Levine and illustrated by Kadir Nelson is a historical fiction book. Levine tells the true story of Henry Brown, a slave who came up with the “ingenious idea” to escape slavery by traveling from Virginia to Pennsylvania in a wooden box. The book shows beautiful depictions of the Civil War era and presents the injustices slaves endure during this period. This book won the Caldecott Honor in 2008, and I recommend it for students in K-5 grades. However, I would discuss the theme of the story accordingly to students’ developmental level. The story begins when Henry is separated from his family after his master becomes ill. Henry is devastated when he is taken away from his mother and sold to another slave master. However, he adjusts and settles well in his new home. Henry grows up, marries and has children, but he is left alone again. More devastation strikes Henry’s life when his master sells his wife and kids. He becomes sad and decides to escape the South to gain his freedom. His plan is to have himself mailed in a huge wooden box. Henry's friends James, another slave, and Dr. Smith, a white abolitionist help him with the plan. In the end, Henry gets away and gains his freedom, like the birds he saw flying freely as a young boy. Later, he is given the name Henry “Box” Brown because of his heroic journey. In my classroom, I can use this book by making connections to another similar story, as in Harriet Tubman and the Underground Railroad. I would have small groups and whole class discussions about the Underground Railroad. It can give students an opportunity to share their feelings about slavery. In addition, I can assist my students in building a vocabulary list with words related to the topic, such as freedom, abolition, slavery, injustice and justice, master, perseverance, patience, and determination. For upper-grade students, I can discuss the words in depth for comprehension. Further, students can work in groups to create a play, using the vocabulary list, and then present the play to the class. Lower grade students can make connections from the text to the illustrations in the story. After, they can draw pictures, creating their own interpretation of the story. 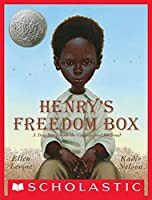 If you want to watch a video interview with the author Ellen Levine talking about Henry’s Freedom Box you can look at the video at http://www.scholastic.com/teacher/vid.... Also, if you want to take a look at this award-winning artist's beautiful illustrations you can go to http://www.kadirnelson.com/. Ellen Levine was born in New York City Ellen Levine's books have won many awards and honors, including the Jane Addams Peace Award. Although she enjoys writing both fiction and nonfiction, most of Ellen's books for young readers have been nonfiction. 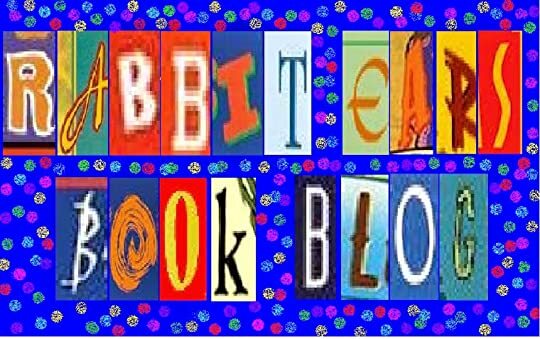 "Writing nonfiction lets me in behind the scenes of the story. I enjoy learning new things and meeting new people, even if they lived 200 years ago."